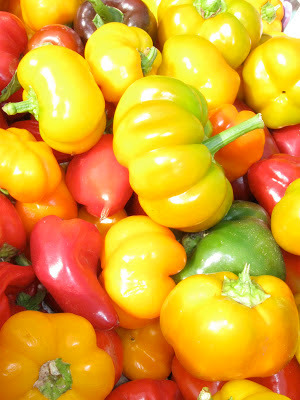 I appreciated the abundant and colorful fresh produce that was available during our West Coast travel. On Day 3 of the October trip, husband Walter and I happened upon a farmer’s market. 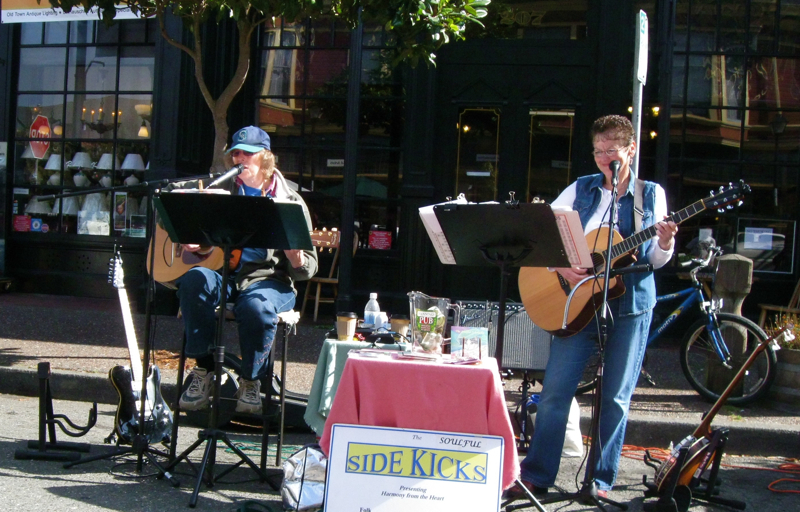 One block of downtown Eureka was filled with live music, vendors offering hand woven fabrics, preserves, cheeses, freshly picked veggies and colorful fruit. 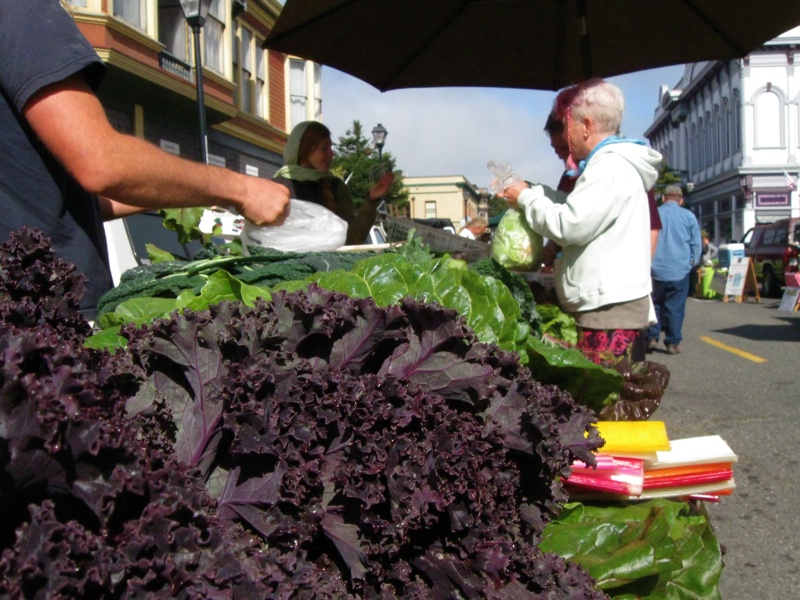 We joined shoppers with a taste for food, fresh, locally produced and organic. 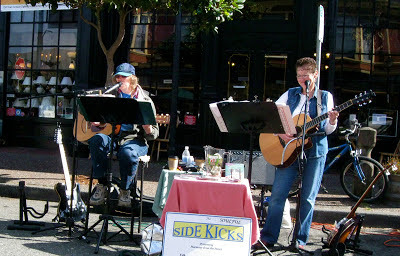 Enjoying the energy and good will of this homegrown event was to us great touristing. Dean of Earth N Hands Farm answered my “What is that?” questions about produce I had never seen before. He was patient and even offered me my first taste of Mexican sour gherkins and ground cherries. The one- and two-inch cucumbers looked like mini-watermelons. They even had a hint of the flavor I sometimes taste when I take a bite of cold watermelon close to the rind. And was it possible I also detected a little lime flavor? It was an unusual combination of tiny explosions of flavor and crunchy texture. When Dean released a ground cherry from its parchment-like jacket for me to sample, I discovered another new taste I liked. 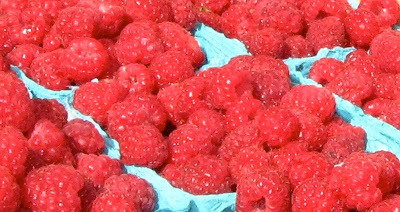 What we bought, though, was a carton of delicious raspberries. There's a farmers market about 2 blocks from my house, but I still have not shopped there. Maybe I'll stop by next month if it stops raining! 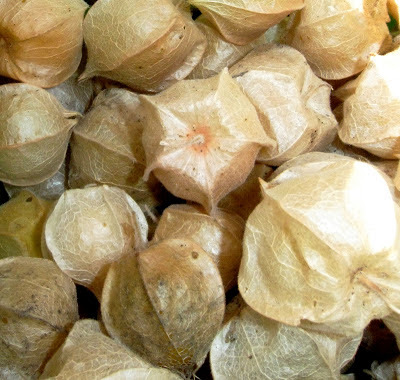 I have never heard of a ground cherry and I have lived in Northern California all my life. I am going to have to scope these out. the Mexican sour gerkins are new too. 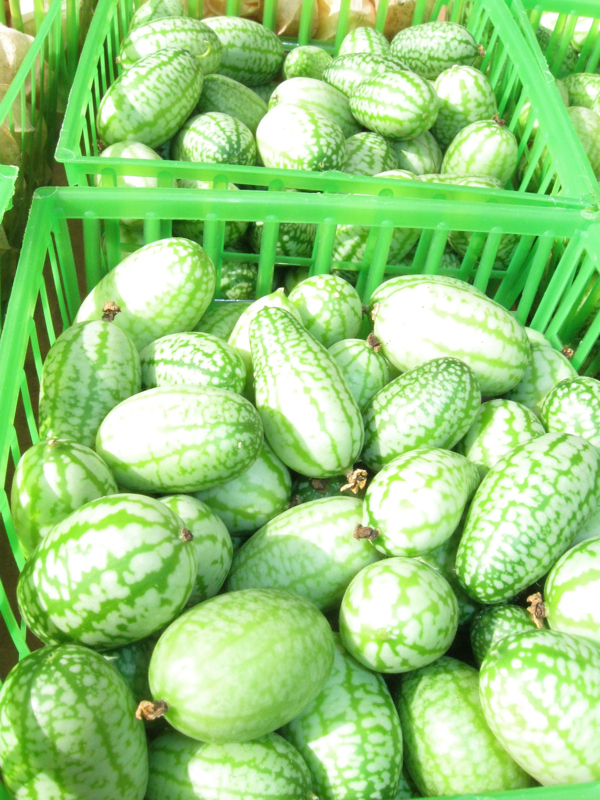 they do look like mini watermelons. We eat the peppers all the time. The red ones are so sweet. Love them in salads and in stir fry. these pictures make me antsy for getting out on the road.